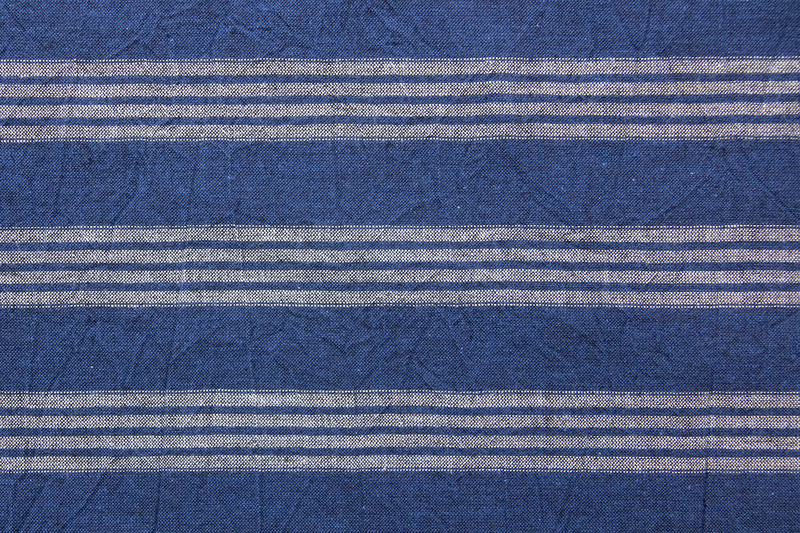 Kamedajima is a quality, traditional fabric from Japan with soft, durable weaves and beautiful depth of color. During the Edo Period—Japan’s Golden Age—striped fabrics were incredibly popular, as can be witnessed in many of the era’s famous ukiyo-e woodblock prints. First created in the Edo period, kamedajima (“Kameda stripes”) is a soft yet durable traditional fabric, highly refined over more than 300 years of history. The traditional Japanese colors used to decorate kimono borrow their hues and expressions from the natural world, as seen in seasonal grasses, flowers, and insects. Kamedajima fabrics are highly celebrated for their exquisite layering of subtle neutral colors. Each hue accentuates the next. Stripes taken from the colors of nature have a charm untouched by the changing of the times, marked by a deep and subtle aesthetic. Regardless of East or West, modern or traditional, today kamedajima fabric is loved by individuals everywhere who desire long-lasting, quality fabric. A legacy of the Edo period’s creative and self-sustained culture, kamedajima combines pure threads and natural hues as an expression of Japan’s sophisticated traditional values and aesthetics rooted in the Edo period. The delicate color harmonies showcase the sophisticated sensibilities of Japan’s color culture. Modern yet traditional, kamedajima can be easily incorporated into contemporary fashion and interior styles. Since ancient times, colors of the natural world have become an intimate part of our culture. The Edo period—a time when peace and creativity flourished. Kamedajima is a classic, striped fabric that embodies the aesthetics and values of the Edo period. The natural threads of kamedajima tie the past to the present to weave a new but nostalgic future.